Back in June, we posted some reflections about emotional intelligence and the health care workers of tomorrow. In that article, we described ten attributes or personality traits often associated with emotional intelligence. In our exploration of this topic more closely, we’ve learned that empathy, often listed as a key component of emotional intelligence, stands out as particularly important in the context of healthcare delivery. That is, there is evidence suggesting that empathic health care practitioners make better practitioners, and this leads to better patient outcomes. Empathy is considered one of the key components of emotional intelligence because the ability to connect with others requires us to have the capacity to understand what they may be feeling or thinking. Empathy has been linked to a deep-seated survival mechanism, allowing us to function in and be supported by key social groups. It plays a key role in our social lives generally and is considered critical in the context of provider-patient interactions. 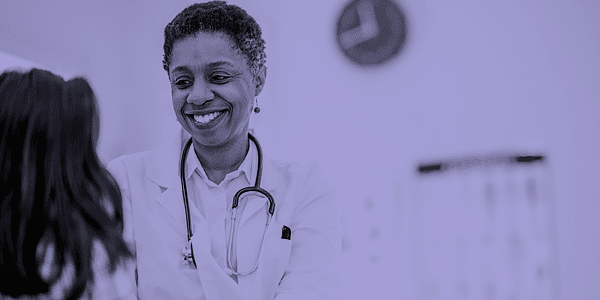 At a practical level, empathic practitioners may see higher rates of patient compliance with treatment and patients’ perceptions of their physicians’ empathy are positively associated with more favorable health outcomes. In the context of health professions education such as medicine, physician assistant, pharmacy and nursing, empathy is considered by many admissions experts to be a desirable trait to identify in prospective students. If evidence suggests that high levels of empathy by the clinician lead to better patient outcomes, then it seems to follow that admitting students with a high capacity for empathy is a desirable goal. There is research suggesting that empathy may change over time for health professions students although not necessarily in a positive direction. There is also evidence to suggest that empathy in health professions students can be supported and strengthened, particularly through such techniques as role-playing and sensitivity training, which helps students to view health challenges through patients’ perspectives. In a research context, empathy in an individual is typically measured either through self-reporting, through the observations or others, or both. The Jefferson Scale of Empathy (JSE) and the Kiersma-Chen Empathy Scale (KCES) are two focused instruments that have been the subject of considerable research in a health care and health education context. The JSE has a tight focus on the cognitive aspect of empathy whereas the KCES covers both cognitive and affective domains. Other emotional intelligence assessments, such as BlueEQ, include empathy as one of their key constructs. We are having conversations with a number of health professions educators to get their take on empathy and what level of importance do they put on fostering this skill in their aspiring students. There are many research studies underway looking at empathy in various contexts including measuring changes in empathy in subjects over time. There is not common agreement regarding to what extent can empathy can be taught and developed in individuals who may be lacking in this capacity. We are particularly interested in looking at empathy in the context of admissions, and whether it is desirable to attempt to measure or assess levels of empathy in applicants. Common methods of evaluating emotional intelligence such as admissions interviews may be too subjective to be useful comparatively. Scales such as the JSE and KCES can be helpful because of their demonstrated validation. To the extent that the continuing research helps to establish norms for different population groups, the more useful these tools will be. If you would like to learn more about empathy and what work has been done in the context of healthcare education and training, please feel free to drop us a note. We’d be happy to set up a call. Copyright © 2019 Exam Master Corporation. All rights reserved.